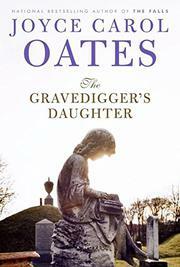 The lingering residue of survivor’s guilt and trauma shape a battered woman’s life on the run in Oates’s latest novel (Black Girl/White Girl, 2006, etc. ), which is stuffed with echoes of her earlier fiction. Following a terse “Prologue” in which young wife and mother Rebecca Tignor rejects memories of her harsh immigrant father Jacob Schwart, we observe her fending off a stranger who follows her home from her factory job, addressing her as “Hazel Jones,” a name that means nothing to her. Then, in juxtaposed narratives, we learn of her girlhood among a German-American family scarred by the resentment of her father (a teacher and intellectual reduced to working as a cemetery caretaker) and the violence of her older brother, and the life to which she alone escaped after a family tragedy: a hopeful marriage to traveling salesman Niles Tignor, blighted by his violent abuse of Rebecca and their young son “Niley.” Escaping again, Rebecca reinvents herself (as “Hazel Jones,” also renaming Niley “Zacharias”), moves around upstate New York for years and finds love with a decent older man (Chet Gallagher), who also nurtures “Zacharias’s” precocious musical gift—until the pull of her own life brings Rebecca/Hazel to obsession with the nihilistic “wisdom” preached by her doubtless insane father. The arc thus traced virtually repeats that of Oates’s 1967 novel A Garden of Earthly Delights (itself recently republished, in substantially rewritten form), and circumstantial details recall similar material in such novels as The Assassins (1975) and Angel of Light (1981). Furthermore, the novel ends with an exchange of letters which incorporates a short story published in her recent collection High Lonesome (2006). The resulting patchwork is an amalgam of tedious rehashing and compelling drama, whose best feature is Oates’s painstaking portrayal of a woman so persistently exploited and betrayed that she loses all sense of who she actually is. A truly representative sampling of this unpredictable author’s grind-it-out strengths and mind-boggling weaknesses.